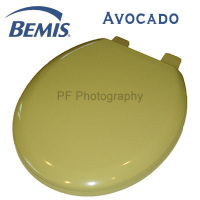 Bemis Natural Reflections American Innova is made with moulded wood and thermoset. The strong surface gurantees long lasting shine, warm feeling and ease of cleaning. Thermoset component makes American Innova water resistant. 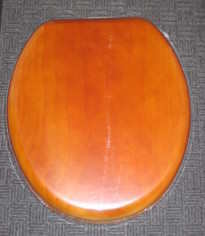 Antique Pine Wood Veneer Toilet seat. Solid woood core made from 100% recycled wood. No splitting or cracking. Fully adjustable Brass finish Hinge and fitting pack. 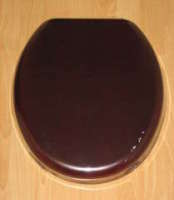 Suitable for most standard oval pans.